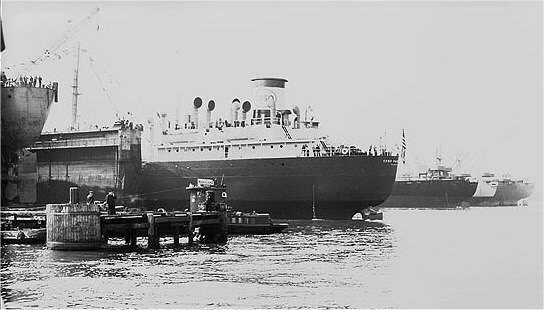 Laid down, 3 February 1944, as Fort Cornwallis, a Maritime Commission type (T2-SE-A1) tanker hull under Maritime Commission contract (MC hull 1731) at Sun Shipbuilding and Dry Dock Co. Chester, PA. 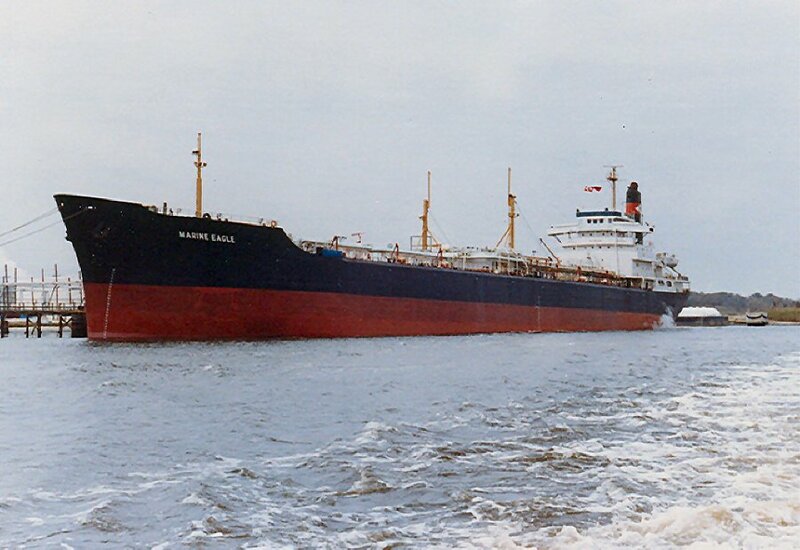 Renamed SS Marine Eagle, 11 December 1957, engaged in long term charter to the Du Pont Chemical Company. Sold, 5 July 1978, to E. I duPont de Nemour & Co.
34k SS ESSO Parkersburg drydocked, date and location unknown. 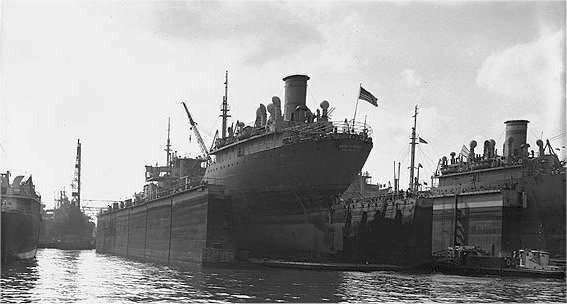 98k The Marine Transportation Line's chemical tanker SS Marine Eagle moored pierside, date and location unknown.